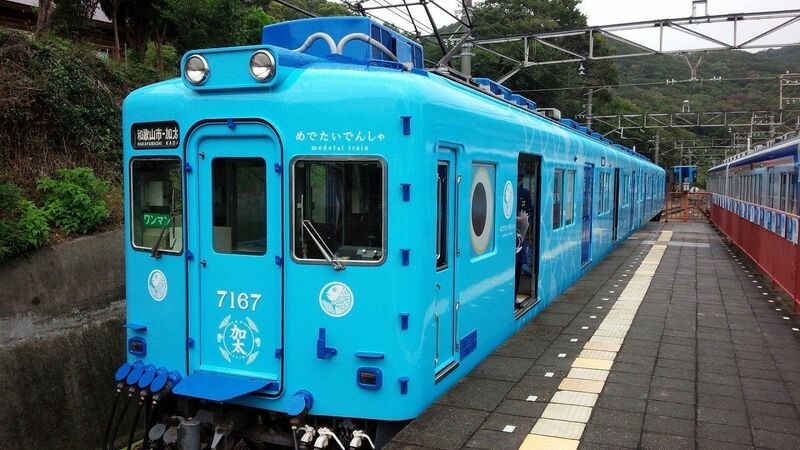 The 7th October 2017 saw the launch of the brand new light blue ‘medetai densha’ – literally, ‘train of good fortune’, operating on the Nankai Railway’s Kada line, running northwest of Wakayama City. The blue colour and large fish eyes depicted the carriages & train exterior are meant to be both a representation and celebration of sea-life – a theme that continues into the interior design of the carriages. If you look to the floor, you’ll see a variety of ocean imagery including fishing spots, surfboards, fins, etc., creating an overall sensation of something exciting and different for the duration of your journey. In 2016, a pink coloured train was also launched (and is still running). For train lovers, or anyone simply into the quirkier side of Japan, why not come and enjoy a ride?